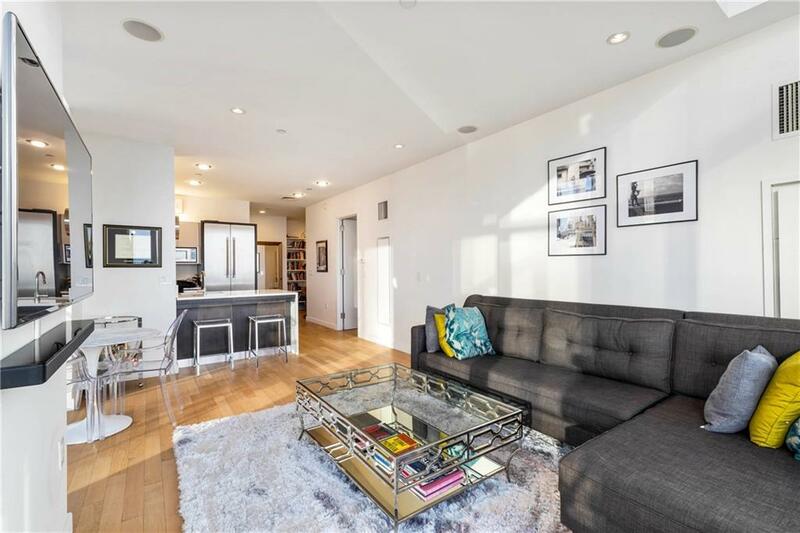 Spectacular Over-sized 1 bedroom, 1.5 bath apartment at the Platinum condominium! 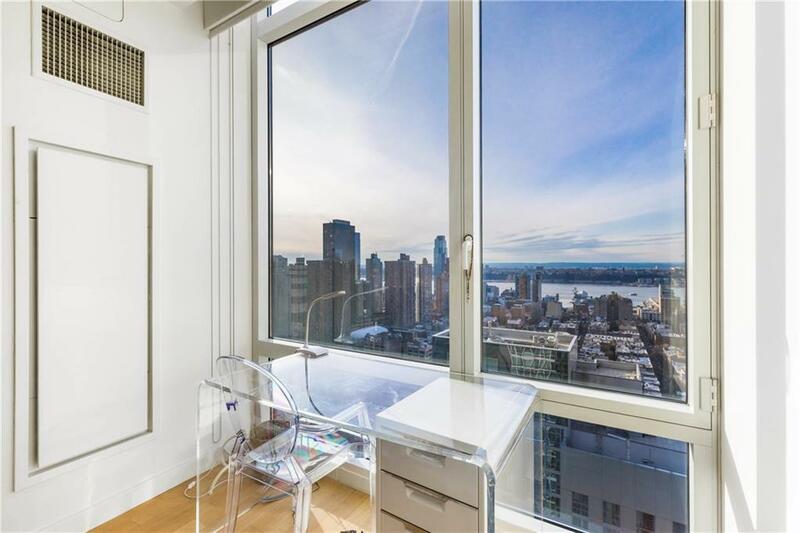 This North-West facing corner unit is flooded with light & has UNOBSTRUCTED views of the Hudson River & New York City from its 12' FLOOR-TO-CEILING WINDOWS. 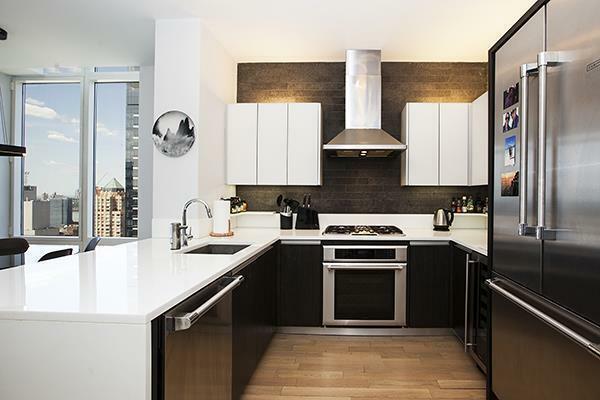 Due to the high ceilings, the apartment is one of the largest apartments in the building in CUBIC FEET!The sleek open kitchen features top of the line stainless steel appliances, wine refrigerator, White Quartzite Counter Top and Lava Stone back-splash. The chic master bath features a freestanding soaking tub plus separate spa like shower, Dornbracht polished chrome faucet and Toto toilet. Other features to note: white oak floors throughout, walk-in closet, built in speakers in ceiling, washer/dryer.Designed by internationally-renowned architect Costas Kondylis, the 43 story Platinum condominium boasts exquisite interiors and hotel-like amenities that rival those of five-star resorts. Full time doorman and staff 24/7. The lobby is striking with its floating island surrounded by a moat of moving water, 26'-long fireplace and 15' TV plasma screens. Residents enjoy an amenity floor called "The Zone," a full-floor dedicated to a host of upscale offerings that include a Zen-like meditation room, fitness center, indoor/outdoor Yoga studios, spa treatment rooms, a spa lounge with waterfall plus a golf simulation room. 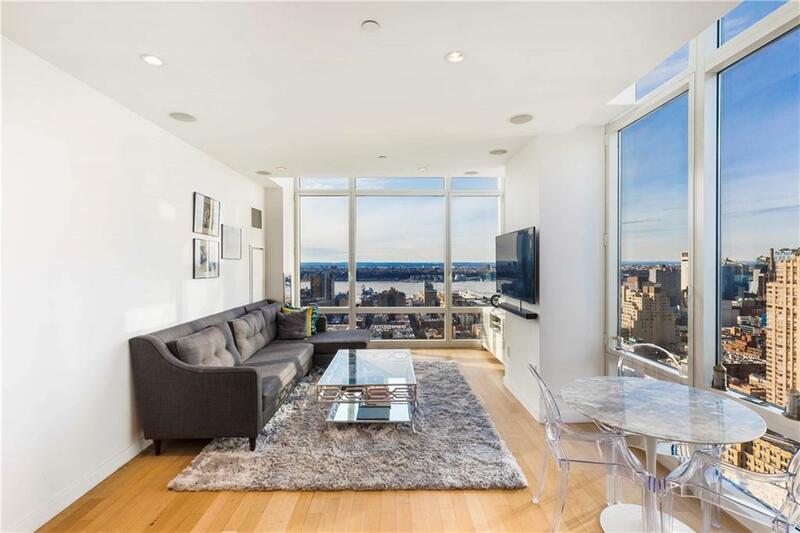 There is also an outdoor landscaped terrace complete with a stone fireplace.The Platinum sits at a vibrant Midtown address, minutes to Broadway shows and Rockefeller Center, at the core of world-class restaurants, shops and cafes, and public transportation. MINIMUM 24 HOUR NOTICE REQUIRED TO SHOW.